Apocalyptica is a Finnish Cello metal trio (formally a quartet), composed of classically trained cellists and, since 2005, a drummer. All three cellists are graduates of the Sibelius Academy in Helsinki, Finland. Apocalyptica released their sixth studio album, Worlds Collide, on September 17, 2007. 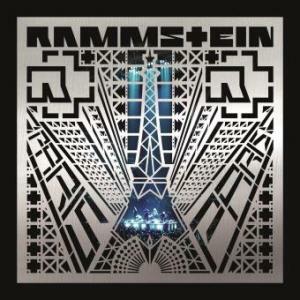 Till Lindemann of Rammstein is among the guest singers. He will be taking on David Bowie’s song “Heroes”, which was also released in German as “Helden”. Till will be singing the German version, making his song the only German-language song on Worlds Collide and the second in the band’s history. Apocalyptica was formed in 1993 when four cellists, Eicca Toppinen, Paavo Lötjönen, Max Lilja, and Antero Manninen gathered to play Metallica covers at the Teatro Heavy Metal Club. Among the audience was Kari Hynninen, who worked for the independent label Zen Garden Records. After listening to Apocalyptica’s set, Kari Hynninen signed them on the spot to Zen Garden Records. In 1996, Apocalyptica released their debut studio album, Plays Metallica by Four Cellos, which consisted solely of Metallica covers played on cellos. In 1998, Apocalyptica released their second studio album, Inquisition Symphony, which was produced by Hiili Hiilesma. Inquisition Symphony once again contained covers of Metallica, but also contained covers of Faith No More, Sepultura, and Pantera. For this album the band also decided to include three original songs written by Eicca Toppinen. In 1999, Antero Manninen left the group, and was replaced by Perttu Kivilaakso. In 2000, Apocalyptica released their third studio album, Cult, which now featured 10 original songs, and only 3 covers. 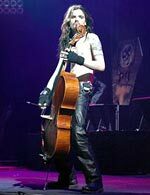 In 2002, Max Lilja left the group and joined Hevein, leaving Apocalyptica with only three members. In 2003, Apocalyptica released their fourth studio album, Reflections, which consisted for the first time of all original songs. Reflections featured a more experimental sound, instead of the previous acoustic style arrangements found on Inquisition Symphony and Cult. Dave Lombardo from Slayer played drums on five songs from Reflections. Captain Fantastic’s (Bengal) half brother, Dharma, is very proud. Love your books I’ve read almost all of them my fav is a mango shaped space because I can really feel how you feels with colors!